There are plenty of different styles of camping to enjoy, from camping in a tent to spending the night in your vehicle surrounded by nature and everything in between. Whatever your preference, a Sherry van is the best choice. Sherry RAM conversion vans have a reclining rear sofa to make it easy to sleep in, or to fit all the gear you need to set up a tent and campsite and enjoy a remote area. Discover some of the features that set Sherry vans apart from other conversion vans when it comes time for your next camping trip. 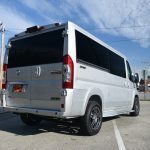 If you are in the market for a new conversion van, then you will likely want to know how much you should plan on paying for the vehicle. In addition to the sticker price of the vehicle, there are some other fees that you will need to keep in mind. Take a look at all of the factors that go into pricing a conversion van so you can save up accordingly. As with any other purchase that you make, you will have to pay tax on your conversion van. In Ohio, the state itself collects a tax of 5.75% on any vehicle bought. Certain counties charge an additional 2% in taxes. Keep these figures in mind because while the percentage is fairly small, it can add up to a few hundred dollars depending on the price of your conversion van. When it comes time to buy a conversion van, you will have many options. Most are based on either the Ford Transit or the Ram, both of which are known for their ability to accommodate a range of upfits and their reliability. While either the Ford Transit conversion van and the Ram conversion van will be a good option for you, each tends to appeal to a specific type of driver. See how the two vans stack up against each other to determine which one will be better for you. 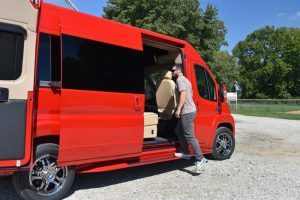 The Sherry 9-Passenger Van is poised to be the top-selling van of 2019. These popular vehicles are incredibly versatile, appealing to a wide range of situations and drivers. 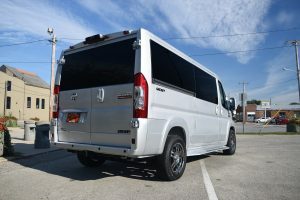 With a proven reputation, amazing features to set them apart, and nationwide delivery available, it is no surprise that the Sherry 9-Passenger Vans are forecasted to take the lead in the van segment. The forecast for nine-passenger Sherry van sales in 2019 comes from years of growth. Sherry has been selling more and more of these vans to customers across the country. 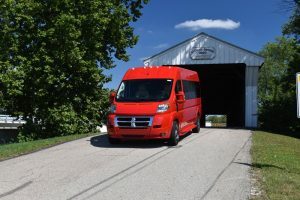 This growth will likely continue for 2019, with even more drivers looking to take advantage of all that a nine-passenger van has to offer. As you look at the new conversion vans that are available in 2019, you will notice plenty of familiar conversions and some notable updates. Between the range of van makes and the conversion van companies, there is something for everyone, regardless of your needs. One of the most popular vans for conversions is the RAM ProMaster, which serves as the base of many conversion vans across the country. The RAM ProMaster has class-exclusive front-wheel drive for responsive handling, vertical walls that are nearly 90 degrees, and a best-in-class standard cargo height of 65.4 inches, more than enough room. 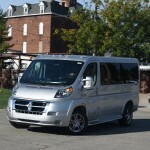 There are also two exterior heights, four lengths, and three wheelbases available for the RAM ProMaster. When you think of tailgating, do not forget to consider the RAM conversion van. While most people do not picture a van for tailgating, the RAM conversion van actually checks off all the boxes of what you want for this type of vehicle and even throws in some bonus features. One of the great things about the RAM conversion van is that the rear doors swing open completely. This means that you can easily access the interior while tailgating, eliminating the need to waste time unloading all your gear from the vehicle. Or just take advantage of the widely opening rear doors to easily get your gear like a cooler, chairs, or even grill out of the van, so you can start tailgating without struggling to remove items from the car. When you visit Paul Sherry Conversion Vans to look at the new 2019 RAM conversion vans, you will notice some updates to the latest version. Since our new conversion vans are based on the RAM, the changes to the regular vans translate into some exciting upgrades for all conversion vans built on that particular base. Discover some of the upgrades you will notice with the 2019 RAM conversion vans compared to the previous model years. There are many reasons to own a standard van, but the new Ram conversion vans really stand out in their class. Out of the many promising features to offer drivers and passengers, here are a few of the most noteworthy. By far one of the best features in the new RAM conversion vans is its highly agile turning radius. 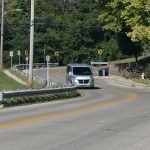 Drivers love that they only need 36 feet to get this van turned around. This makes it much easier to get in and out of tight spots in the city. The ProMaster turns the cliché that vans are hard to park upside down with its maneuverability. 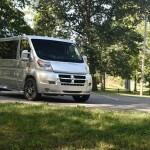 Those who plan on getting a 2019 conversion van will notice some changes from conversion vans based on earlier model years thanks to updates to the 2019 RAM ProMaster that these vans are based on. 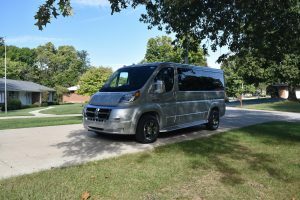 One of the biggest changes for the 2019 RAM ProMaster is the fact that there are more models available than before. In the past, there was just a single ProMaster van along with the ProMaster City. Now, however, you can get one of three new models. 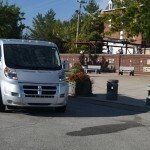 These include a ProMaster 2500 Cargo Van featuring a low roof plus a ProMaster 3500 Cargo Van with a high or a low roof. All three of those new configurations have 136-inch wheelbases. Time will tell if these new ProMaster 2500 and 3500 Cargo Vans are also used for conversions or if the other RAM ProMaster will remain the go-to option. When you are looking for your next conversion van, the van that it is based on is just as important as the conversions you choose. Both RAM and GMC offer great starting points for a range of conversions, from shuttles to mobility vans to limos and more, but each has its own strong suits. Take a closer look at how the new RAM conversion vans compare to the new GMC conversion vans so you can better choose which one to select for your needs. If you have a large family, you know you need the right type of transportation. You need something roomy enough to drive your entire crew around, and a used conversion van is the perfect option. Check out some reasons why you should drive off the lot in a used conversion van today. SUVs might be roomy, but they aren’t nearly as spacious as conversion vans are. Let’s start at the front. 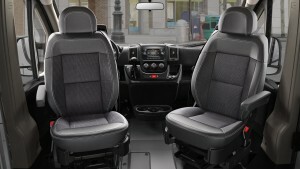 The pilot seating in the front is spacious and comfortable, giving each person his or her own space. You can stretch out and relax during those long road trips. As you explore the new mobility vans available, you will notice plenty of exciting new lift options, giving you the freedom you need to move around and get in and out of the van with ease. Depending on the van you select, you can choose from one of several different lifts, each with its own advantages and disadvantages and situations that it is designed for. 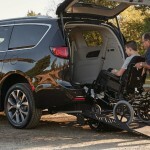 One of the most popular options is the Revability conversion of the Chrysler Pacifica, which features the option of a rear or side-mounted commercial platform lift that has a 1,000-pound capacity. This model also offers the option of a rear ramp with a 1,000-pound capacity that is 42 inches wide. 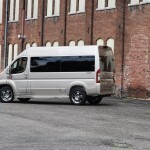 RAM 9-Passenger Vans Are More Popular Than Ever! 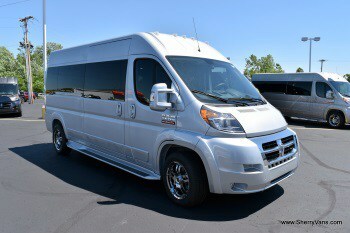 One of the most popular 9 passenger vans for sale can be at Paul Sherry Conversion Vans. It appeals to a wide range of people with its long list of features and incredible passenger capacity. The nine-passenger vans truly fit nine adults in comfort, so there is no need to struggle to fit inside like you would in a minivan. Who Will Love the Nine-Passenger Van? Nearly anyone can appreciate the RAM nine-passenger vans, particularly if you need room for more than four adults who want to spread out. Families who don’t want anyone to feel squashed will love the RAM nine-passenger vans on their next road trip or even just a quick drive around town, especially if they need to buy groceries with everyone in the vehicle. When you head to Paul Sherry Conversion Vans to look at the new RAM passenger van models, you will notice some updates to the 2018 RAM ProMaster. Since all the Sherry RAM Conversion Vans are based on the ProMaster, keep these updates in mind when you look for the one you want. Both the full-size ProMaster and the compact ProMaster City have more convenience and safety features than in previous model years. 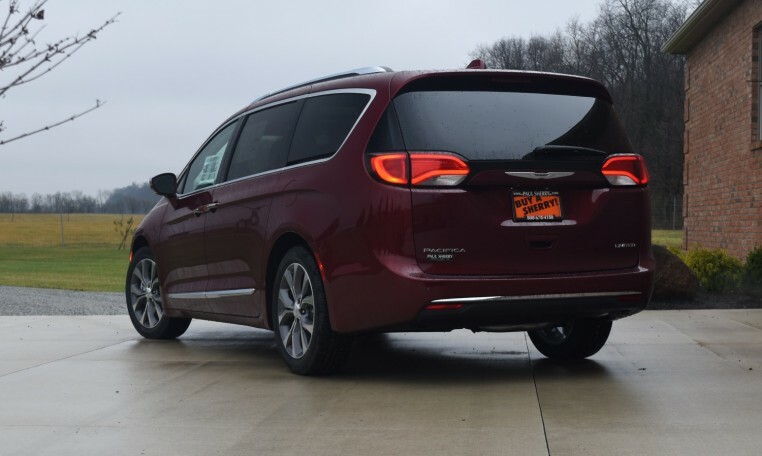 With so many Chrysler Pacifica Mobility vans, there are options for everyone. However, the REV Mobility Advantage Package easily stands out from the crowd with its unique features that you will not find anywhere else. It has a spacious interior and exclusive recessed side pockets, along with many other useful features. Those recessed side pockets might not seem like much at first, but they can make a huge difference. You will only find this exclusive feature on the REV Mobility Advantage Package. These side pockets tie down to help keep any equipment out of the way. They are also covered by a 50,000-mile/5-year conversion warranty, so your Pacifica Conversion will always stay organized. At Paul Sherry Conversion Vans, we always strive to offer the best possible range of options for our drivers, including the new Chrysler Pacifica hybrid mobility van. 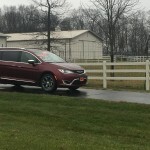 Based on the spacious and efficient Chrysler Pacifica Hybrid, these mobility vans are upfitted by Revability. These aftermarket upfits are specifically designed to maximize convenience and mobility for those who need to use a wheelchair or other assistive devices to get around. Available New Conversion Vans for 2018! 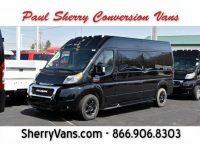 With 2018 just around the corner, Paul Sherry Conversion Vans is getting ready to offer you an updated selection of conversion vans. You can count on the same amazing selection of vehicles that we always offer, but keep your eyes peeled, as new 2018 conversion vans will be arriving on our dealership to join the existing new and used vans. As always, the new conversions cover a wide range of vehicles, giving you the ability to own the exact type of conversion you want. Introducing the first 8 Passenger Sherry Van! Under the hood, you will find a 3.0L EcoDiesel I4 producing 174 Horsepower with a 6-Speed Automated-Manual Transmission. Rear Entertainment includes a 32″ Vizio HDTV, LG Blu-ray/DVD Player, Premium JVC Stereo, Wireless Headphones w/ Storage Cases, AC Power Outlet, Remote HDMI Input, LED Indirect Accent and Mood Lighting. 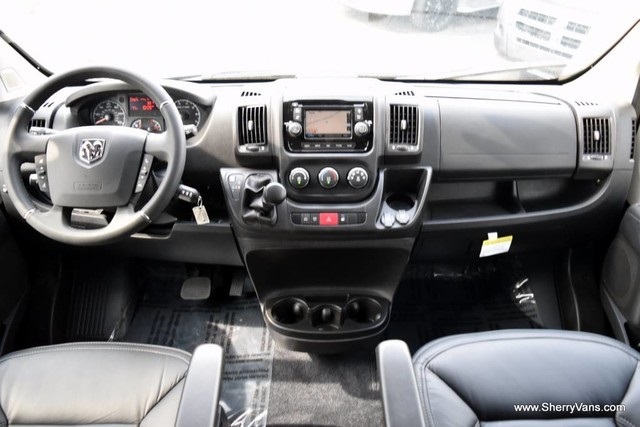 The dashboard of this particular van includes a 5″ Touchscreen Uconnect 5.0 Navigation Receiver, AM/FM Stereo With CD Player, Satellite Radio, Bluetooth Calling/Streaming, USB Charging Port, USB/Auxiliary Input. D.I.C. Driver Information Center. 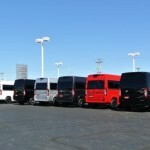 Conversion Van Financing Options: We’re Your Best Choice! In addition to helping you find your new conversion van, our team at Paul Sherry Conversion Vans can assist you with all of your financing needs. We want to ensure that you drive off the lot with the van to meet your needs, and by offering competitive auto loans, we can make that a reality. Thanks to our efforts, we are the best choice for financing your next auto. Out of the various new conversion vans on the market, the RAM ProMaster stands out from the crowd with a range of class-exclusive and best-in-class features. 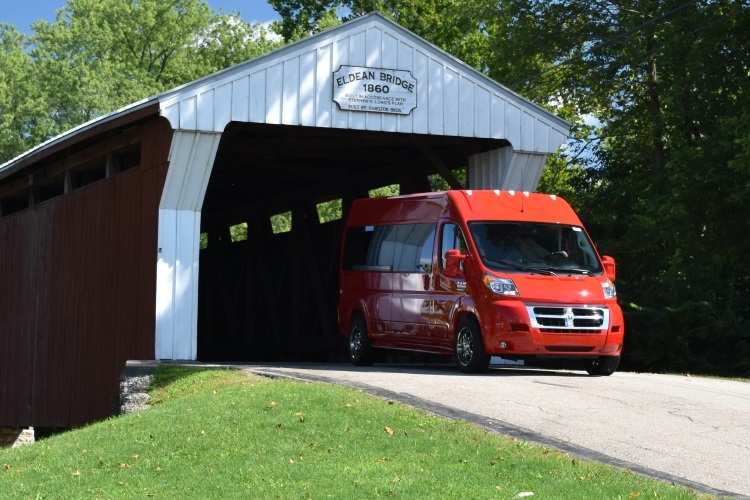 Between all of these amenities, it is no wonder that so many drivers choose a RAM ProMaster over similar new conversion vans. Whether you want a model with front-wheel drive, appreciate the low load height, or just love the seemingly limitless options, the ProMaster can be the right van for you. One of the first best-in-class features you will notice on the RAM ProMaster is its turning radius. Since you only need 36 feet to turn this van around, you can easily maneuver it around the city and get in and out of that tight spot. While vans are known for being challenging to park or complete tight turns, the ProMaster is the exception to that rule. 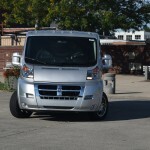 If you are in the market for a used GMC conversion van, then consider shopping at Paul Sherry Conversion Vans. 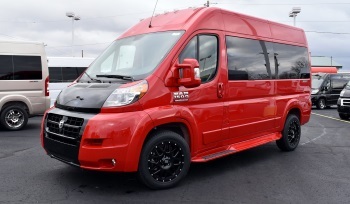 Our dealership could easily be the best place around to find the conversion van you need, whether you want to maximize seating, mobility, or something else. Between our constantly updated selection and our unique services like delivery, we have everything you need. It can be challenging to find used models if you want something specific, but our dealership takes care of the hassle of searching for you. We regularly receive more used GMC conversion vans as part of trade-ins of people buying new RAM vans. Because of this, we frequently get new models on our lot, creating an ever-expanding inventory. When it comes time to start looking for a conversion van, you will have a few options, including those from multiple manufacturers. While the RAM ProMaster and other RAM vans are currently the leaders in the world of conversion vans, GMC held that title for a long time. Because of this, you will find a nice mix of both brands in your search for a van. To help figure out why you should choose one over the other, take a look at how they compare to each other. The RAM ProMaster is a best-selling model, and you can take advantage of everything this model has to offer. 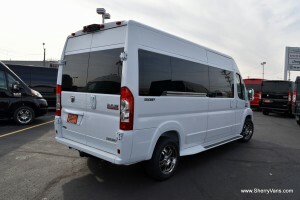 The RAM Conversion Van is an excellent choice with the regular specifications as well as when converted to meet specific needs, whether that is aiding those with mobility restrictions, providing a limo environment, or just taking multiple rows of passengers to the destination. Thank you to all of the RAM ProMaster owners who have contributed to this model being the best-selling in its group. You made a smart choice when selecting the reliable and versatile RAM ProMaster with its spacious interior and range of interior configurations. We are glad that you are able to enjoy your ProMaster along with all of the comforts it contains and the convenience it provides. Head to Paul Sherry Conversion Vans for service or to buy a new conversion van and you will notice that our sales and showroom is new and improved. With our recent renovations to the dealership, we have a dedicated spot for conversion vans, including both indoor sales and a showroom. With this updated space, we can better serve you, our customers. 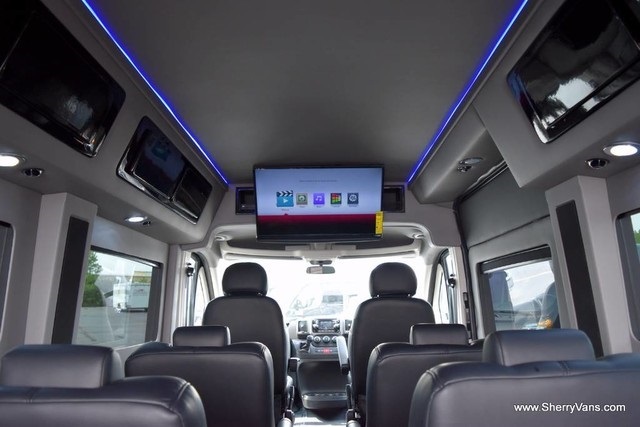 Whether you are waiting for those finishing touches on your paperwork or for your conversion van service to be finished, you will now have an improved waiting area to relax in, complete with highly comfortable chairs, magazines, and a TV for entertainment. There is even coffee, water, and more to ensure that any time you have to wait will simply fly right by. Those interested in a 2017 RAM ProMaster will appreciate the range of updates the automaker added for this year. Thanks to the updates, it is now easier than ever before to upfit the van, resulting in a better conversion from our team here at Paul Sherry. Let’s take a closer look at the changes for the latest RAM ProMaster Conversion Van. The most exciting change for most drivers is the adjustments to the cutaway and chassis cab models that will improve upfitting. On both of these models, RAM has made the rear axle wider, making it easier for service bodies to fit snugly onto the van. Essentially, it lets the upfits be applied in a flusher way, enhancing the quality and ease of these upfits. To make upfitting even better, the ProMaster also now comes standard with wiring prep for rear speakers and upfit interface connectors, regardless of the model you look at. 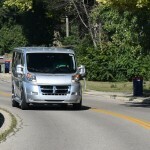 Why Purchase Your RAM ProMaster Conversion Van from Paul Sherry? 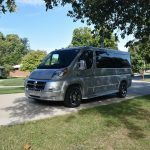 There are a relatively limited number of places to find RAM ProMaster conversion vans, but there are still enough to offer several choices. That said, Paul Sherry typically will be the right choice, no matter where in the United States you live. 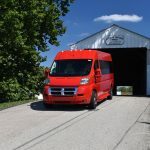 In addition to an excellent selection, Paul Sherry can help you customize your own ProMaster if you don’t find what you are looking for, offers ways to save money, and can deliver your conversion van to any state. No matter the reason you are in the market for a GMC conversion van, Paul Sherry is ready to help you out. We have an excellent inventory of vans for a range of purposes and can even work with you to customize one if you don’t find what you see. When buying from Paul Sherry, you will receive excellent customer service during every step of the process, ensuring that you have a positive experience. Next time you have a large event, consider hiring a limo van instead of taking multiple cars or just sticking to a regular limo. 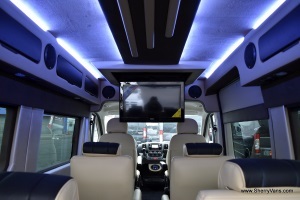 A limo van is the perfect combination of a passenger van and a luxurious limousine with seating for a large group of people and premium accommodations, like leather seating and extra climate control. 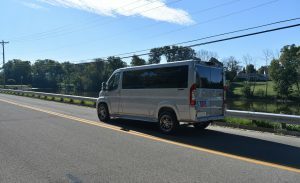 You can use a limo van for nearly any situation, but here are some of the times when you will really appreciate having hired one. When it comes time to buy your new mobility van, getting it from Paul Sherry Conversion Vans is a smart decision. We understand our clients and work hard to get you exactly what you are looking for. We pride ourselves on our friendliness and knowledge of our inventory. This helps make the shopping experience stress-free for you, letting you move around town in your mobility van in almost no time. When you start to look at the large selection of vans available at Paul Sherry Conversion Vans, you will notice that there are two main types: those converted by Sherry and Waldoch vans. In either case, you will be looking at a van that has been enhanced to make it more comfortable and modern or simply to include more features or seating. Both Sherry and Waldoch vans are excellent choices, but you may want to learn more about what sets them apart if you are thinking of buying one. 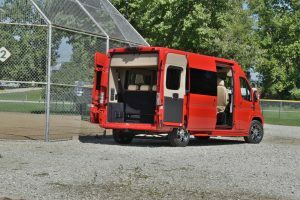 There are many types of vans available but the RAM ProMaster is among the most frequently converted into a wheelchair van. These are high-quality vans to begin with and have been for years, letting drivers choose from new or used models as a way to save money. 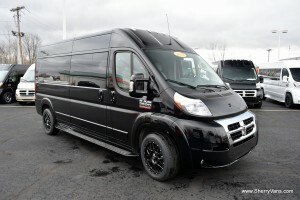 The team at Paul Sherry Conversion Vans can help you create a custom van starting with the RAM ProMaster chassis. We choose this particular model to base our conversions off of for numerous reasons; here are just a handful of the RAM wheelchair van performance advantages. For those who need some extra help getting around, a RAM ProMaster Wheelchair Van can be the perfect solution. These vans can easily be converted to feature an empty interior space that fits one or more wheelchairs and accommodates a wide range of lift styles. The team at Paul Sherry Conversion Vans can give you specific information on the lifts available for your RAM ProMaster, but you should know that nearly every style would work. At Paul Sherry Conversion Vans, we offer only high-quality products, including vans converted by companies with decades of experience. By working with only the best manufacturers, we are able to deliver vehicles to our clients without worrying about their quality or future customer satisfaction. This is why we work with the Waldoch van company, maker of Galaxy Vans. The Waldoch company does an incredible range of conversions, allowing us to offer passenger vans, wheelchair vans, and limo vans. Conversion vans and larger vans in general seem to be less popular today than they have been in the past. This change has slowly taken place as minivans became more popular, but people across the country are missing out. 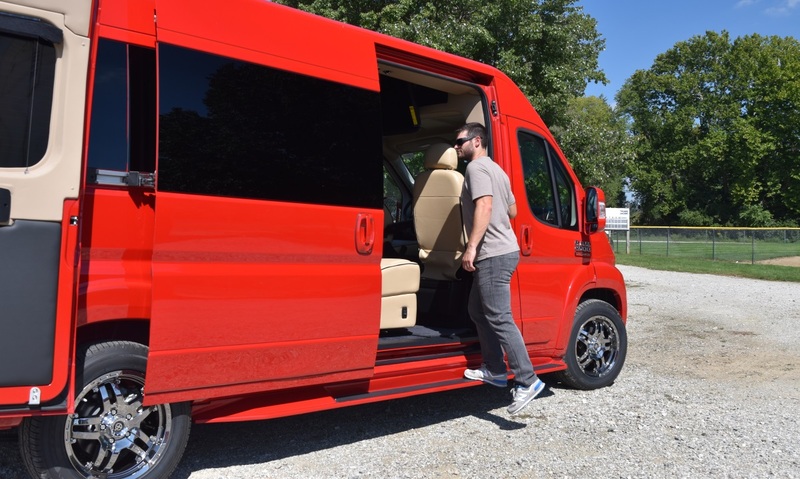 Traditional vans are incredibly spacious and offer extra passenger space, making them great for wheelchair van applications, large families, businesses, sports teams, schools, and more. They also offer plenty of advanced technologies so you won’t feel as if you are missing out. When you are looking to buy your next van, you will find plenty of great choices. Search for the following qualities to help narrow down your selection. Going camping in a conversion van is one of the best ways to take advantage of your vehicle’s interior space. You can bring along a tent and set it up outside, using the interior of your van to bring people and camping supplies. Or you can remove some of the seats from inside your van and turn it into your tent, perfect for one or two people. With some clever accessories, like tents that attach to the vehicle, you can even combine both options. 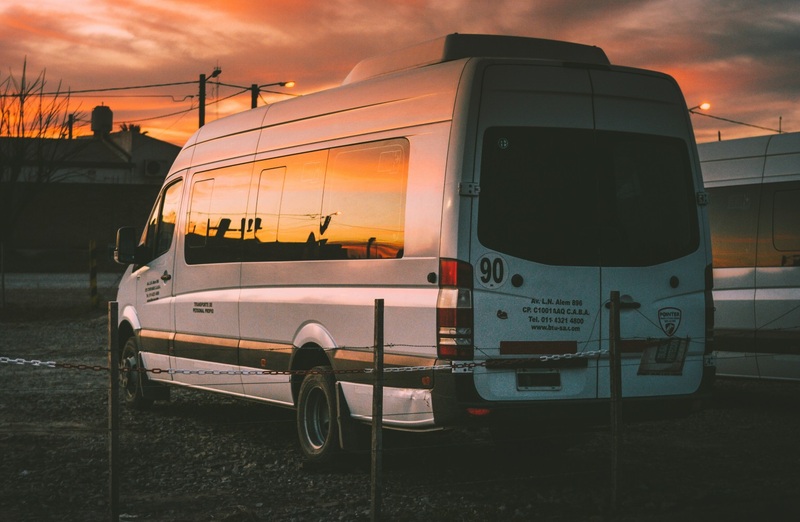 To make the most of your van camping, you need to pack it correctly, including bringing along the proper supplies and making sure they are accessible. No matter the type of youth sports that you coach, you will need a vehicle that can take the whole team from place to place in comfort. While you could ask a few parents with minivans on the team to help out on a regular basis, this is putting a great deal of pressure on them. 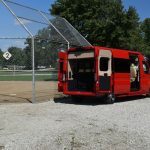 You will find it much easier to just buy a conversion van for your team and never have to worry about a parent having to cancel last minute. While most people on the road will stick to cars, trucks, or SUVs, some will find that a luxury van from Paul Sherry is the ideal option. 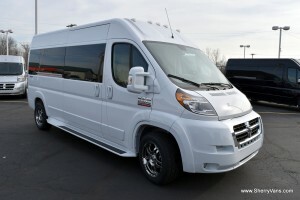 These vans fit seven or nine passengers with ease and are spacious with premium appointments. They let everyone ride in comfort and give you unlimited options for uses. While you could always use your luxury van for a shared taxi service, there are plenty of other uses, as well. If you have a larger family, then a Sherry luxury van will be the ideal choice. 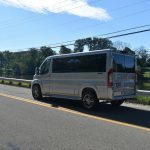 Since they are ready for nine passengers, you don’t have to worry about having room for everyone when you go to the store, movies, or on another outing. They will always have room for you, your spouse, and several kids, plus their friends. 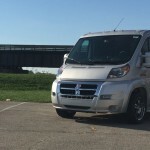 No matter where you plan to drive your conversion van, you want to make sure that you are ready for your road trip. Some things to take with may seem obvious, like snacks, but people are likely to forget about other important items to bring. Although there are dozens of things you should check off your list before hitting the road on your next trip, make sure to at least have the following four items, as they are the most important. Vans aren’t known for getting the best fuel efficiency, but you can easily change this. By taking care of your vehicle and driving carefully, it is possible to make your van more efficient. Of course, you will want to choose an efficient model over those that consume more fuel, but following these steps can boost how far you go on each tank of gas. Perhaps one of the easiest ways to help your Sherry Van be more fuel efficient is to pay attention to your driving habits and avoid aggressive driving. 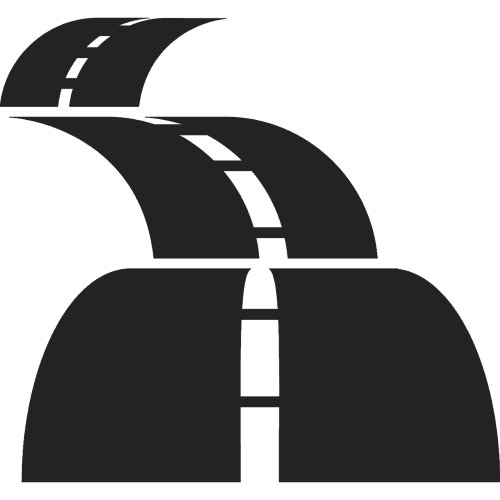 In fact, starting suddenly and hard braking may lead to consuming up to 40 percent more fuel. 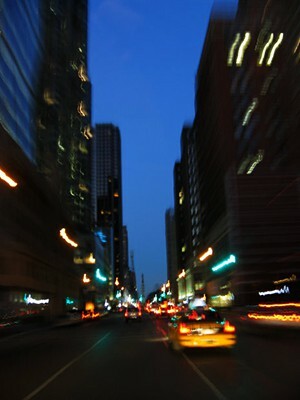 Instead, accelerate smoothly and slowly before getting into your high gear quickly. Planning a road trip with a family is even more challenging than going with a group of friends since you have to keep the little ones entertained. Luckily, there are dozens, if not hundreds, of games you can play with your children during a road trip so they don’t get bored. Factor in other entertainment, like books, books on tape, travel versions of games with magnetic pieces, and portable DVD players, and you don’t have to worry about your children asking if you’re there yet. To save you some time, here are the best family road trip games and everything you need to prepare to play them. The hallmark vehicle driven to events by many endearing fans of NASCAR races across the country was formerly the Class A Motorhome. However, fans are changing their favorite vehicle to get them to the races, and the evolution of the Conversion Van is fueling that change. The standard RV was used more for its occupant carrying capacity than its lodging comforts. 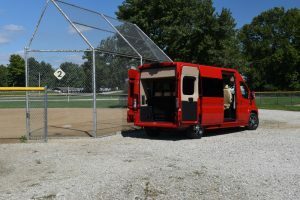 Conversion vans built on large chassis cost less, seat more people, have plenty of entertainment options, and are downright fun to drive. How Much Will The RAM ProMaster Tow? So, you’re considering introducing your family to style and luxury by becoming a Sherry Conversion Van owner. 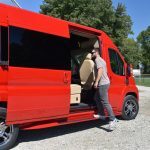 Your loved ones will feel like movie stars as they travel in the newest luxury conversion van, while you rest easy knowing you didn’t have to be a movie star to afford it. 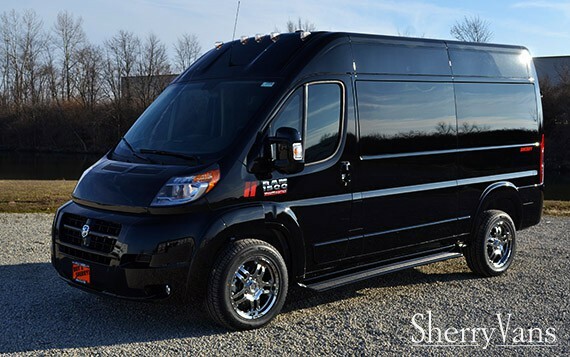 The 2015 Sherry Conversion Van was created so that you and your family can enjoy luxury at an affordable price. Not only is the Sherry Conversion Van top of the line in luxury and comfort, but it also offers a maximum towing capacity of 5,100 pounds. Just like the RAM ProMaster Conversion Van, the Sherry Conversion Van is equipped with the same powerful engine and six speed transmission which assures smoother driving while hauling your families toys. With this amazing power, can you imagine all the things you can now tow without worry? Buying A Conversion Van Over a SUV? If you are thinking about buying an SUV, you should think a little more deeply and consider your other options. When doing so, you can see that a conversion van offers more, and you will do better with it in most cases. With this in mind, here are six reasons to purchase a conversion van over a SUV. First and foremost, if you want to save some cash when buying your vehicle, you should consider a conversion van. Simply put, they are less expensive to buy, and you can drive off the lot with thousands of dollars in savings. This is especially true when you start comparing equipment. Those of us who have family members or friends with mobility problems understand the difficulties of transportation for them. Travel is not just an issue of vehicle, but also of access to the vehicle by the wheelchair-bound passenger or driver. 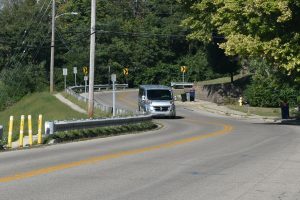 In attempts to make a wheelchair van compatible and accessible, the vehicle may be less convenient for others, even limiting how a person enters the vehicle or is seated in the vehicle. Will A Conversion Van Fit In My Garage? Conversion Vans are among the most versatile vehicles on the road today. They provide transportation for the entire family, haul cargo and also act as a camper on the weekends. Conversion vans typically have a rear bench seat that folds down into a bed. Weekend campers, hunters or tourists can bring their room with them, saving money on hotels and enjoy sleeping in secure comfort. 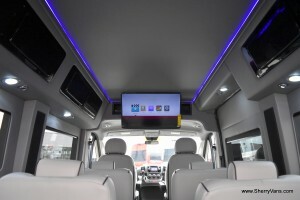 Many vans today are equipped with television sets, DVD players, overhead lighting and are very well insulated. Passenger seats are made to be comfortable. Air conditioning and heating allow create a pleasing environment for travel or camping. Paul Sherry Conversion Vans, a leading dealership in high end Luxury Conversion Vans, has been providing their superb service to customers for many years, and knows what goes best in a conversion van. Among their most notable products is a line up of Ram ProMaster Conversion Vans, dubbed the “Sherry Van”, that have become well renowned for their quality, capability and excellent features. Paul Sherry Conversion Vans is not, however, exclusive to these Ram based models. 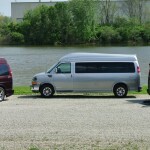 Also available is a wide range of other conversion vans, including GMC, Ford, and Chevrolet based models. 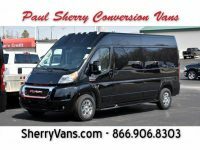 As with many dealerships, Paul Sherry Conversion Vans is not limited to new inventory. Pre-owned conversion vans offer the same great quality of newer vans for a substantially lower price point. Here at Paul Sherry Conversion Vans, we strive to treat every one of our customers like family. We understand that looking at and purchasing a vehicle from a great distance can be a daunting experience, but does it have to be? We don’t think so. Uber is an app and service that makes it convenient to get around many cities. It provides a more pleasant and often cheaper alternative to taxis. Uber has gotten so popular that people are starting to think about what type of vehicle to purchase if they want to become Uber drivers. There are several good reasons to choose the Sherry Conversion Van if you want to be an Uber driver. Whether people are taking in an iconic panorama from a boat across New York harbor or standing amidst the towering buildings on Wall Street, few modern cities will steal a person’s heart or take their breathe away like New York City. With more than nine million inhabitants, there are lots of ways for people to make that local connection. One great way to do this is with a conversion van from Paul Sherry. These vans are renowned for their comfort and endless options for personalization. With these features, people can experience New York like they have never have before. Aside from that, there are a number of reasons why people should go for a conversion van over other vehicles.